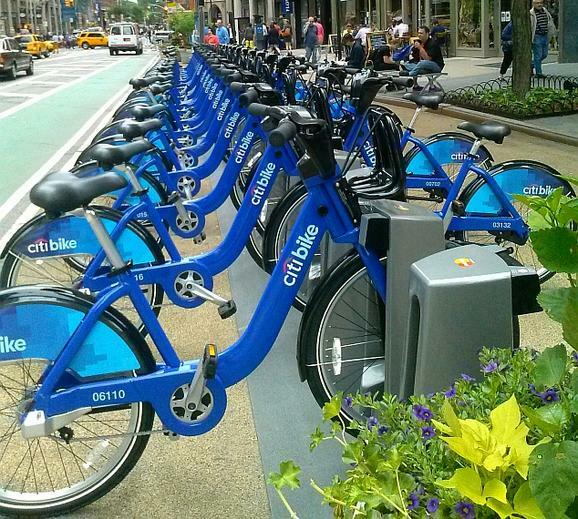 Crowdzu Blog: New York City Startup Life: CitiBike and Bouncy People! 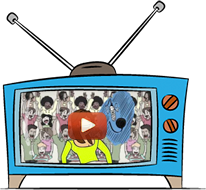 New York City Startup Life: CitiBike and Bouncy People! So here are some sights of NYC that we found interesting listed in the chronological order we came across them. 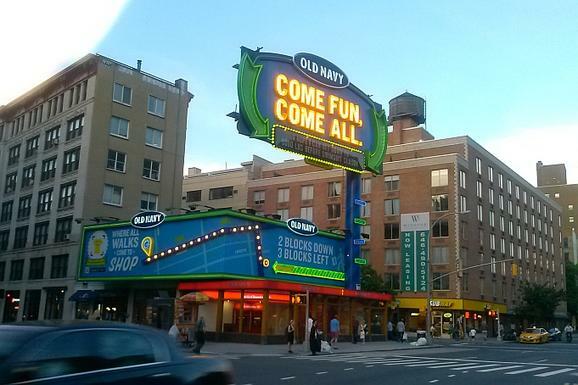 This is not an Old Navy store but rather a retro and kitschy but cool advertisement for one a few blocks away. If it weren't already taken, "Come fun, come all," could have been our tagline. 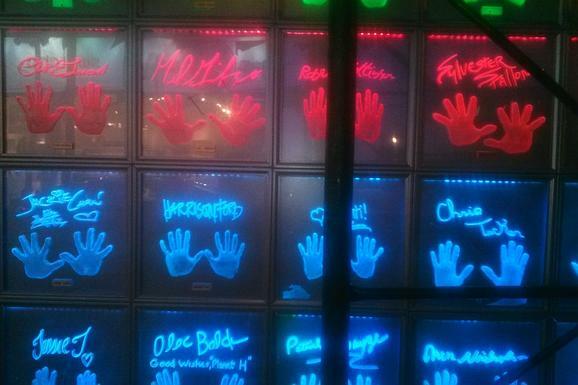 I think you can find this wall of light-up handprints of fame at every Planet Hollywood but this was the first time I came across it. My first thought was, "Wow, Sylvester Stallone has such small hands!" Where we were headed: Home after attending a "future of music" event during Internet Week. Location: 45th & Broadway in Times Square. These next two pictures were taken before and after, so to speak. I suddenly came across these bouncy people. 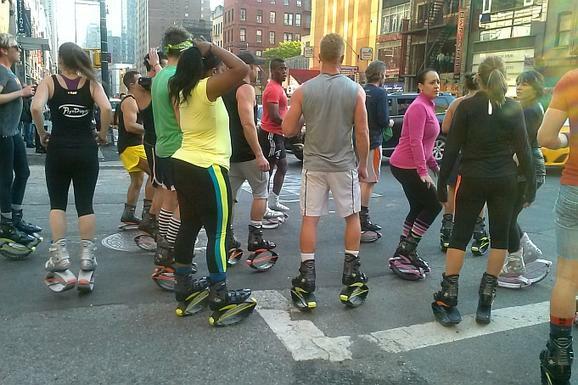 I have no idea if this was a promo for a new type of exercise equipment, a Meetup group get-together or what. I took this picture, looked back literally a few seconds later and they were gone with not even a puff of smoke left behind to mark the spot. Aliens? Sure, why not?! The interweb is full of cats. The second picture is my contribution. 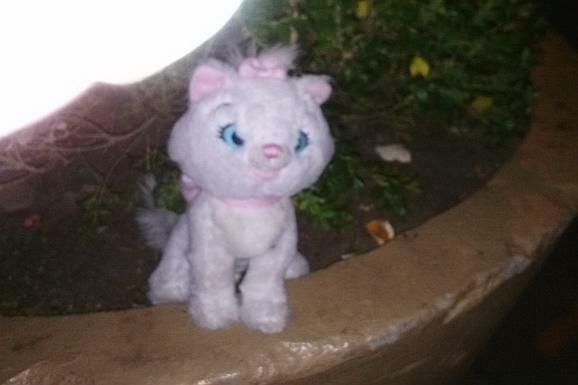 We found this lost kitty on the sidewalk and found a home for her in a nearby large planter. She looked kinda happy as we walked away. Of course, I had heard about the push to build more bike lanes (Yayy for New York!) around the city but because we dwell under a rock in our previously referenced startup-cave, I had missed whatever hype there was about CitiBikes. And then voila! There they were in front of me one day in all their blue glory. How totally awesome and as I found out, affordable too... unless you happen to somehow lose one of them. Learn more about them here.